We are looking for talented DevOps Engineer to join our R&D team. The ideal candidate is experienced in planning complex architectures with lots of different databases and servers, develop solutions for better CI/CD, an will be able to work independently to improve and maintain our infrastructure. In charge of our cloud (AWS based) and on-premise infrastructure, from security perspective to performance to costs. Design and build automation processes for CI/CD of the different environments - web applications, backend indexing servers, and more. Collaborate with the rest of the team to define, design, and ship new features. Excellent English reading & comprehension. Deep networks knowledge and understanding. 2+ years hands-on experience with Python development. 1+ years experience with any relational database (MySQL a plus). Experience with Elasticsearch - a plus. Experience with C# or node.js - a plus. At the core of our Intelligence Operations Center, KELA’s Threat Intelligence Analysts are in charge of data collection and analysis processes by using a unique automated technology scanning a curated set of Darknet sources and providing fully targeted, actionable intelligence. The Threat Intelligence Analyst will conduct research both independently and with a larger team in order to detect cybersecurity threats and produce analytical products. The successful candidate possesses an intelligence and OSINT background, as well as knowledge in cyber-security and has excellent oral and written communication skills. Candidates must have professional reading proficiency in Chinese that will enable them to proficiently conduct open source research in Chinese. At the core of our Intelligence Operations Center, KELA’s Intelligence Translator is in charge of translating intelligence reports and requests for information, including data collected by using a unique automated technology scanning a curated set of Dark Net sources. The Translator of Threat Intelligence Documentation will conduct translation independently in order to issue professionally translated, formatted and ready for submission to KELA’s clients intelligence reports. The successful candidate possesses a technical translation experience, as well as knowledge in cyber-security and has excellent oral and written communication skills. We are looking for talented Web Developers to join our Research & Development team. The ideal candidate is experienced in building complex servers, handling big data, as well as developing the crawlers which harvest the data. 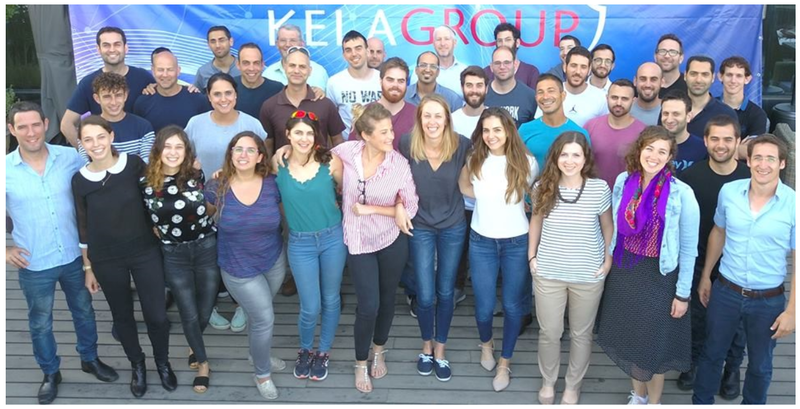 At the core of our Intelligence Operations Center, KELA’s Threat Intelligence Analysts are in charge of data collection and analysis processes by using a unique automated technology scanning a curated set of Dark Net sources and providing fully targeted, actionable intelligence. The Threat Intelligence Analyst will conduct research both independently and with a larger team in order to detect cyber-security threats and produce analytical products. The successful candidate possesses an intelligence background, as well as knowledge in cyber-security and has excellent oral and written communication skills.